Parkinson’s disease could be spotted decades before symptoms begin… by smelling people’s skin, according to new research. Chemicals in a natural oily moisturiser called sebum cause those with the crippling neurological illness to have a unique scent, say British scientists. It offers hope of a simple ‘sniff test’ that screens patients in their 30s – at least 20 years before the onset of devastating tremors, slow movement and muscle stiffness. Most are diagnosed later in life, on average at 65. There is no cure. Famous sufferers include comedian Billy Connolly, Sweet Caroline singer Neil Diamond and actor Michael J. Fox. But scientists now believe many people have hidden Parkinson’s in their forties or earlier. Medications would be more likely to work if prescribed in the first stages. Professor Perdita Barran, of The University of Manchester’s Institute of Biotechnology, said: “Now we have proved the molecular basis for the unique odour associated with Parkinson’s we want to develop this into a test. “This could have a huge impact not only for earlier and conclusive diagnosis but also help patients monitor the effect of therapy. Parkinson’s affects 145,000 people in the UK leaving them struggling to walk, sleep and speak. At present there are no definitive diagnostic tests. It was already known to cause excessive production of sebum, a natural waxy and fatty fluid that protects the skin – particularly on the forehead and upper back. But grandmother of seven Joy Milne, 68, an honorary lecturer at Manchester University, was first to realise Parkinson’s patients had a distinctive smell, which changed intensity as the condition progressed. Mrs Milne, from Perth in Scotland, noticed it in her husband Les – many years before he was clinically diagnosed with the condition. spectrometry to identify the molecular compounds that produce the telltale odour. They analysed the volatile components from the sebum found on patients. And the fragrances were double checked by Mrs Milne – who has been dubbed a ‘super smeller’. She confirmed the signature musk of Parkinson’s when presented with laboratory-prepared samples containing the compounds in a controlled olfactory environment. Sebum samples were collected by swabbing the upper backs of more than 60 subjects, both with and without Parkinson’s, using gauze. The study published in the American Chemical Society’s journal Central Science found the presence of three chemicals called hippuric acid, eicosane and octadecanal. These indicated the altered levels of neurotransmitters found in Parkinson’s patients, along with several other biomarkers for the condition. generated a model that can now identify and diagnose Parkinson’s at all stages of the disease. Professor David Dexter, deputy director of research at Parkinson’s UK which co funded the study with the Michael J. Fox Foundation, said: “Finding changes in the oils of the skin in Parkinson’s is an exciting discovery that was sparked by a simple conversation between a member of the public and a researcher. 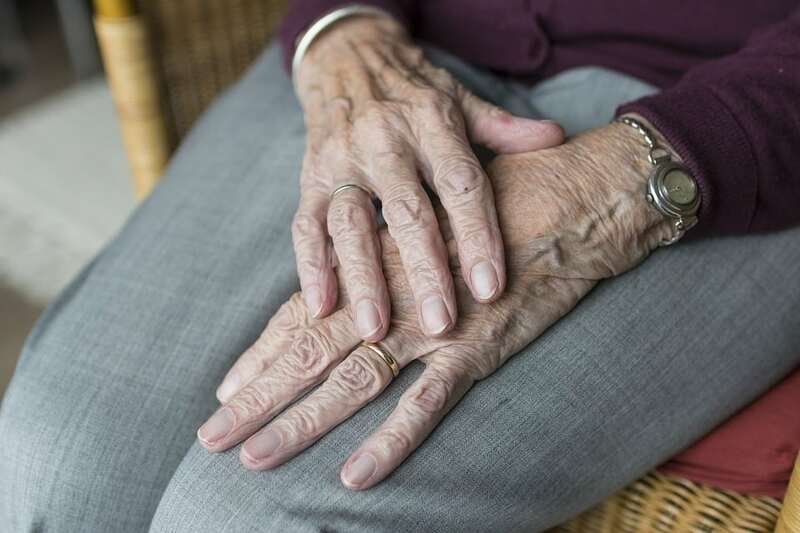 “More research is needed to find out at what stage a skin test could detect Parkinson’s, or whether it is also occurs in other Parkinson’s related disorders, but the results so far hold real potential. Parkinson’s is a neurodegenerative disorder that leads to progressive brain cell death and extensive loss of motor function. Ancient physicians used scent as a diagnostic tool, and although olfactory tests are not common in modern medicine, diseases such as diabetes are often associated with a particular smell. But there has been little evidence to tie scent to neurodegenerative disorders – until now. In earlier lab tests Mrs Milne was able to identify people with Parkinson’s just from sniffing T-shirts they had slept in. Her husband died from Parkinson’s in 2015. When she mentioned her keen smelling ability to researchers she became their inspiration. She explained in an earlier interview: ” I have always had a keen sense of smell and I detected very early on that there was a very subtle change in how Les smelled.